The New Foodie in Barcelona! 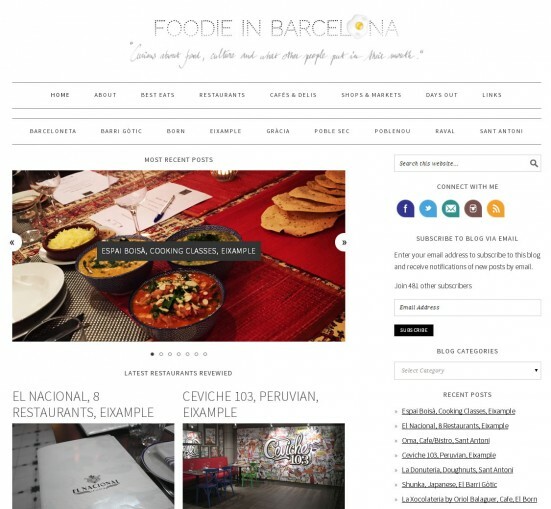 If you haven’t checked out the Foodie in Barcelona website then you’ve definitely been missing out. Suzy’s own personal take on the food establishments of Barcelona is one of a very select few blogs I read religiously. Suzy has been churning out words about the Barcelona restaurant scene for over a year now so what’s so new I hear you ask? Well Suzy started in Berlin as foodieinberlin.com. She came to Barcelona and continued her quest in her new city. Trouble was the website address. So finally she’s split the two and all her recent Barcelona posts have been moved to the brand spanking new foodieinbarcelona.com website with a beautiful new design. And just so her Berlin visitors don’t get jealous she’s spruced up the Berlin site too! So take a look. But be warned: your bucket list of Barcelona foodie places to visit will continue to grow. And yes, if you didn’t know or hadn’t guessed, and in the interest of transparency, I did do the new sites for Suzy. And all the technical wrangling that went with the move.